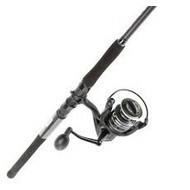 Softbait sets, a rod seven foot, the reel 2500 or 3500 reel size that holds 150m of 10lb braid, will get the job done. lure cast weight from 1/4 to 5/8oz is ideal for general harbour fishing. 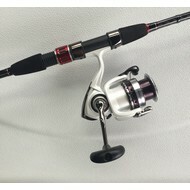 Leader fluorocarbon of 12-17lb is best.